Gold prices remained under pressure during the entire course of August, with prices eventually breaching the psychological support of US$1,280/oz. Galvanizing dollar weighed on the entire precious pack. Positive US macroeconomic numbers has buoyed the greenback. US Q2 GDP is upwardly revised to 4.2% from the previous estimate of 4%. In addition, markets have started pricing in the fact that interest rate hike can occur probably early part of next year. Euro weakened to one year low against the greenback, as European Central Bank lowered the key interest rate to a fresh record low of 0.05% from 0.15%. The marginal lending rate is reduced to 0.3% and the rate on the deposit facility has declined to -0.2%. The central bank also announced that it will initiate buying asset-backed securities and covered bonds from Eurozone banks next month. ECB was compelled to take such steps in order to combat escalating deflationary concerns and contracting growth in the region. On the geopolitical side, concerns have mitigated after the truce been between Russian-pro rebels and Ukraine. In addition, there has been an indefinite ceasefire pact between Israeli and Hamas. On demand side, WGC reported that reported that global gold consumption fell by 16% during Q2 to 964 tonnes. 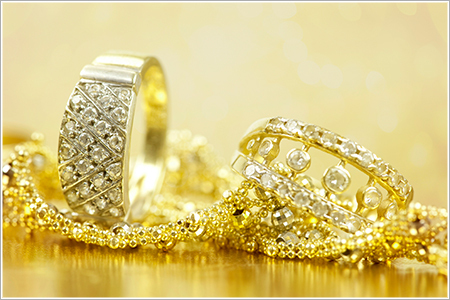 Jewellery demand declined alarmingly by 30%, while coin and bar buying was off by some 56%. China’s net gold imports from Hong Kong during July fell to its lowest level since June 2011. On global economics, we have witnessed some disproportion in the growth trajectory. US economy has garnered healthy momentum during the second quarter of this year, recovering from the sharp contraction during the prior quarter. However, other economies are exhibiting signs of a slowdown. In Europe, there are escalating concerns about high unemployment and deflationary conditions. Euro zone’s inflation rate during August has dipped to five-year low. This has compelled ECB to remain accommodative for quite some time. On growth side, Russian-Ukrainian conflict has taken a toll on Germany, while France reported economic stagnation during the second quarter. Italian economy contracted for two consecutive quarters, technically entering in to a recession. Meanwhile, UK economy is faring well, with two consecutive quarters registering growth of .8%. Japanese economy shrank at an annualized 6.8% during the second quarter, influenced by April sales-tax hike. In China, recent macroeconomic variables are showing signs of some stability; however the long term picture still seems uncertain. Markets are worried by the new credit numbers during August, which unexpectedly plunged to its lowest level since 2008. Slowdown in real estate can be attributed to such retrenchment. The latest Chinese PMI numbers also show some moderation in factory activity. However, July trade balance revealed some signs of optimism. Trade surplus surged to a record high of US$47.3bn, helped by unexpected jump in exports and decline in imports. Geopolitical issues have relegated to the backburner. Notwithstanding the deterioration in European growth scenario, investor fraternity is now paying more heed to the strong flow of US macroeconomic numbers. Investors expect Fed to turn hawkish in the coming months, as improving US economic backdrop will compel the central bank to do the same. The inclination will be tilted towards the riskier assets. In fact, investment and demand in India and China has been reported on a subdued note. There seems to be no persuasive factor to allocate funds to the yellow metal. It is simply a matter of time before we see gold prices eventually sliding towards US$1,200/oz levels.